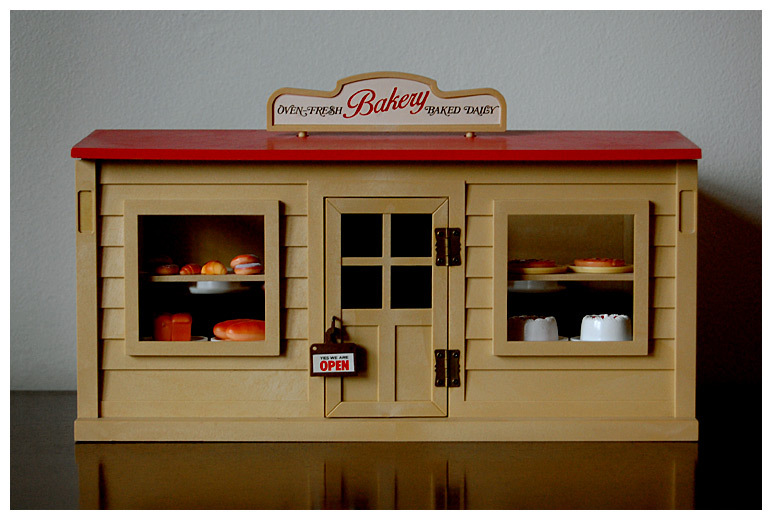 It's been a while since there've been any new additions to Hawthorn Bay, but last week I received the 1998 Tomy Village Bakery. It's my third (& final?) 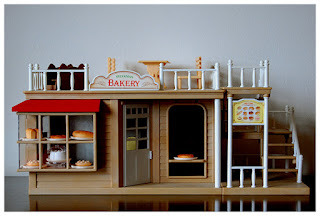 Sylvanian bakery & you might be wondering why on earth Hawthorn Bay needs so many bakeries. Well obviously it doesn't. 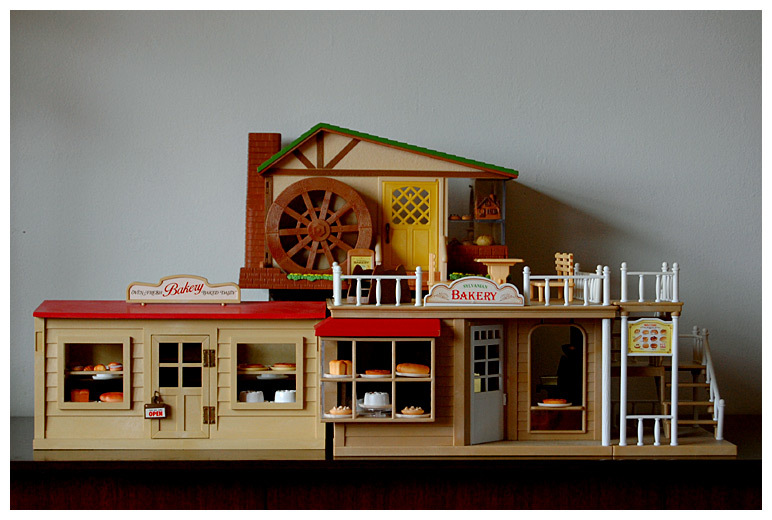 I just love the bakery buildings & wanted all three. Only one will remain a bakery, the rest will be converted to other businesses. 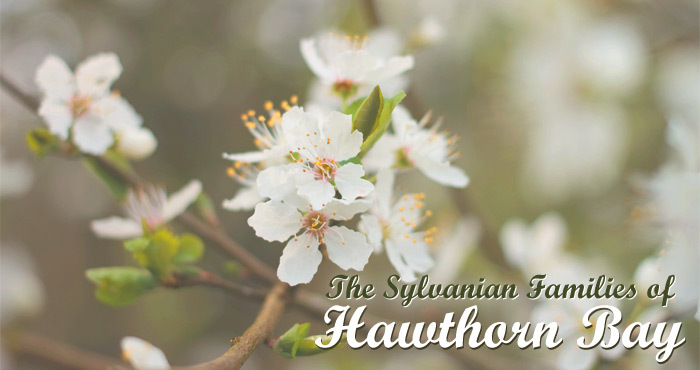 Hawthorn Bay has 3 main areas - the old village in a redwood forest, the coastal area, & a lake/mountain area. 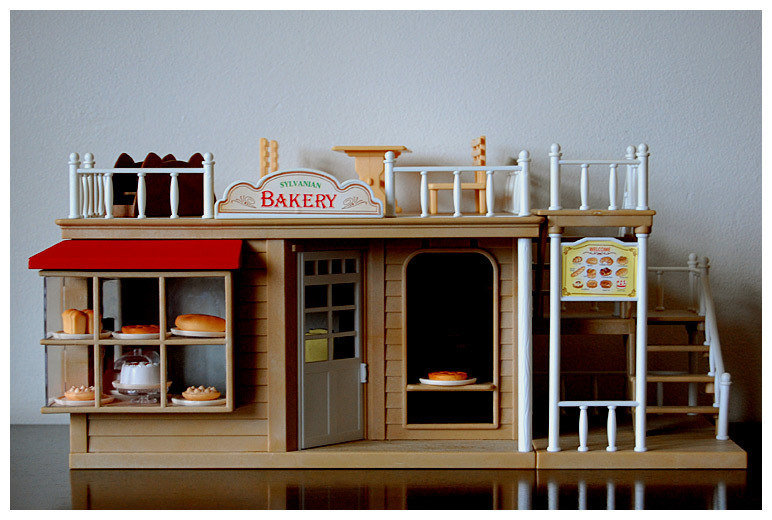 I imagine that the first Tomy bakery was the original bakery built in the village, which was later replaced by the Village Bakery, until that too was replaced by the Water Mill Bakery (Hawthorn Bay's current bakery). 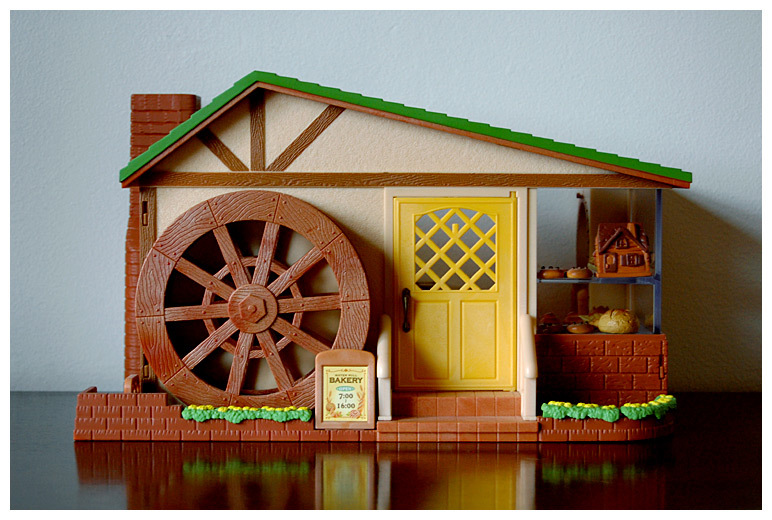 All 3 buildings are in the forest area, with the Water Mill Bakery being at the edge of the village where there's a stream. The Water Mill Bakery will certainly be very well stocked with all the breads that came with the other bakeries in addition to what originally came with the Water Mill Bakery. I already have plans for what the older bakeries will be, but I need to make some new signs in Photoshop & I've added some items to my wishlist to get towards the different business in the Village Bakery. I'm looking forward to being able to set them up properly further down the line.